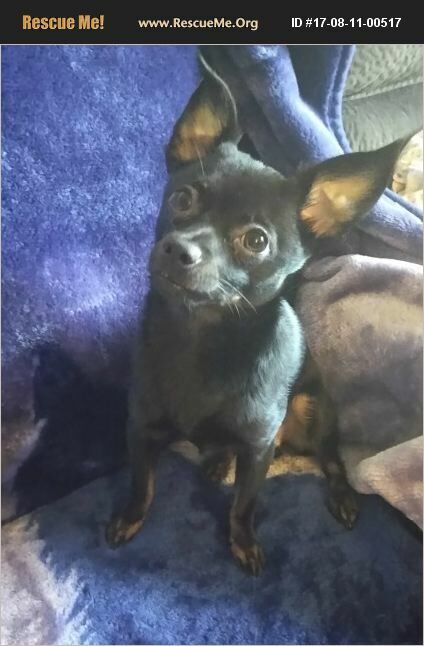 Hello This here is Batty,10 months old,great with other animals big and small once he gets to know them, great with smaller animals such as bunnies and chinchilla's. Is pad trained does use grass patch and does well on walks and using the leash, loves his toys stealing things. A little scared meeting new people but will warm up to them the more he sees them. Does have a bit of separation anxiety but fine with a friend to play with and keep him company, loves to cuddle with you (especially with my pit bull)and loves his cave like dog bed. He does have his 5 way shots only needs rabies shot and at this time he is not neutered (working on it still) but you will get $50 back with proof that you got him neutered. Please contact me at Yesenia.Paws@mail.com or by the website and I will get back to you as soon as I can.